This entry was posted in Addiction, Substance Abuse on October 1, 2018 by Baxter Ekern. Middle-Aged Alcohol and Drug Abuse mortality rates are on the rise, but this bucks the image of it mainly affecting the younger generations. In general, alcohol and drug abuse are thought to be the most problematic among younger generations, as statistics on the prevalence of substance use typically reflect this. This increase in mortality among white middle-aged Americans is particularly unexpected in this day and age. With advances in healthcare and overall increased lifespan, the expectation is one of increased longevity, not decreased. Economists Anne Case and Angus Deaton have dubbed those currently middle-aged a potential “lost generation,” whose future is less favorable than those generations who preceded them. Furthermore, the economists compare this epidemic to the AIDS epidemic and note that with public awareness, behavioral change, and drug therapy, the AIDS crisis was brought under control. Health care providers often overlook substance abuse and misuse among older adults. 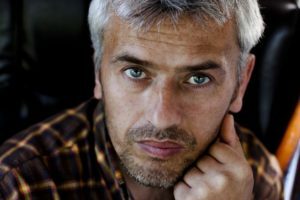 It is important to acknowledge that as middle-aged Americans grow older diagnosing a substance abuse issue may be more difficult. Frequently, symptoms of substance abuse in older individuals sometimes mimic symptoms of other medical and behavioral disorders common among this population, such as diabetes, dementia, and depression. Chelsea Fielder-Jenks is a Licensed Professional Counselor in private practice in Austin, Texas. Chelsea works with individuals, families, and groups primarily from a Cognitive Behavioral Therapy (CBT) and Dialectical Behavior Therapy (DBT) framework. She has extensive experience working with adolescents, families, and adults who struggle with eating, substance use, and various co-occurring mental health disorders. 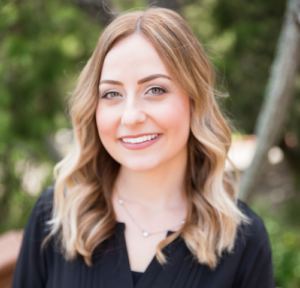 You can learn more about Chelsea and her private practice at ThriveCounselingAustin.com. Substance Abuse and Mental Health Services Administration. (2016). Behavioral Health Barometer, United States, 2015. Retrieved from https://store.samhsa.gov/shin/content//SMA16-BARO-2015/SMA16-BARO-2015.pdf on 2018, July 25. NIDA. (2016, January 28). Saving a “Lost Generation”: The Need to Prevent Drug and Alcohol Abuse in Midlife. Retrieved from https://www.drugabuse.gov/about-nida/noras-blog/2016/01/saving-lost-generation-need-to-prevent-drug-alcohol-abuse-in-midlife on 2018, July 25. Center for Substance Abuse Treatment. (1998). Substance abuse among older adults (Treatment Improvement Protocol [TIP] Series 26, DHHS Publication No. SMA 98-3179). Rockville, MD: Substance Abuse and Mental Health Services Administration.